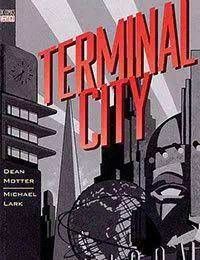 A futuristic society of robots and flying cars, Terminal City is a utopian metropolis that has fallen apart. Lorded over by corrupt officials and merciless gangsters, the city has become a haven for lost dreams and broken spirits. But when an amnesiac chained to a mysterious briefcase suddenly appears at the citys lavish hotel, an assortment of oddball characters receive a second chance for redemption. Now as a former daredevil, a retired boxer, and a forgotten actor each look to reclaim control of their lives, they become entangled in a lavish plot of corruption, betrayals, and legendary crown jewels that will either be their salvation or damnation.